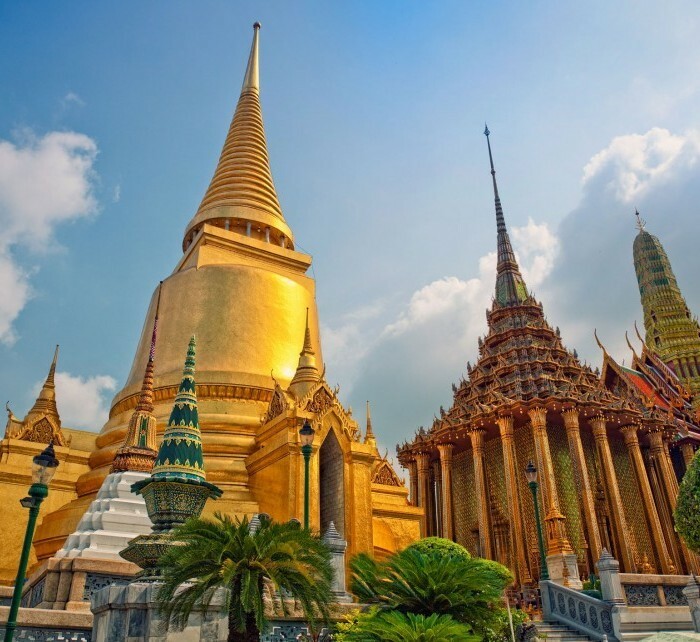 Bangkok is a sprawling metropolis and the capital of Thailand. Although overcrowded, you will never feel lost in this traveller-friendly city. A full wallet isn’t necessary for a trip to Bangkok because it is an ideal destination for those on a budget. Everywhere you go, you are greeted with smiles and a warm feeling. Bangkok is also a good place to starting point for accessing Thailand’s famous beach resorts. Book cheap flights from Berlin to Bangkok with Hotflug.de. We offer low cost airlines tickets such as Wizzair, Ryanair as well as traditional airlines tickets. The informational table of direct flights contains the information about the cheap direct flights from Berlin to Bangkok organized by the airlines. The flight schedules of the airlines help to plan a trip in a easy way and find the cheapest flight from Berlin to Bangkok. Knowing the low cost airlines‘ schedule from Berlin to Bangkok, you may perform a more detailed search for the cheapest flights. While selecting the flight, Hotflug.de suggests paying attention to the flight schedules of the low cost airlines such as Ryanair and Wizzair. Normally, the low cost flight airlines operate low cost flights on business days; therefore, while searching for the cheap flight tickets, it is important to select the flights operated in the beginning and end of week. To obtain the cheapest flight tickets, it is recommended to book them not later than 6-8 weeks until the date of flight with the low cost airlines.